A W-Class Melbourne tram. Photo: Adam Carr. Prospective parties have been asked to explain how they would restore, repurpose and maintain one of 134 retired trams in Victoria, Australia, as bidding for the iconic fleet is set to begin. Once tasked with transporting thousands of passengers each day, the trams have been gradually phased out of Melbourne’s transport network as the system has been modernised and no longer meet updated safety and accessibility requirements. The Newport Workshops rolling stock refurbishment facility is the current home for a total of 237 retired trams, of which three Z-Class, 44 W-Class and 87 SW-Class trams of varying conditions are being made available. Offering residents a chance to acquire a part of the state’s history, while also preserving the assets for future generations, the Victoria government has announced that an expression of interest (EOI) process will begin on May 28. Parties from around the world are welcomed to express their interest in acquiring a tram but educational institutes, community groups and not-for-profit organisations have been encouraged to apply. Under the Retired Trams Strategy, these groups will be able to access one of the trams – which are being priced at $1,000 – for free. The EOI process will close on July 6 from which point an independent panel will assess each bid, giving priority to those that ensure the trams remain accessible to and enjoyed by the public and provide a demonstrable community benefit. Previously repurposed trams have become cafes and classrooms. Rail infrastructure manager VicTrack advised that it could cost up to $650,000 to restore one of the trams to working order but that “under no circumstance” will they be able to operate on the Melbourne tram network due to operational, safety and accessibility reasons. Victorian transport minister Jacinta Allan said: “If they’re not going to be used on the network, we want to keep these trams accessible to the community. The EOI follows an assessment from an expert stakeholder group of the total fleet of 237 retired trams, to help give them a new lease of life. Other retired trams, including the art trams, advertising trams, and a small number of other trams which will be preserved for potential re-purposing in the future, are not part of the EOI. 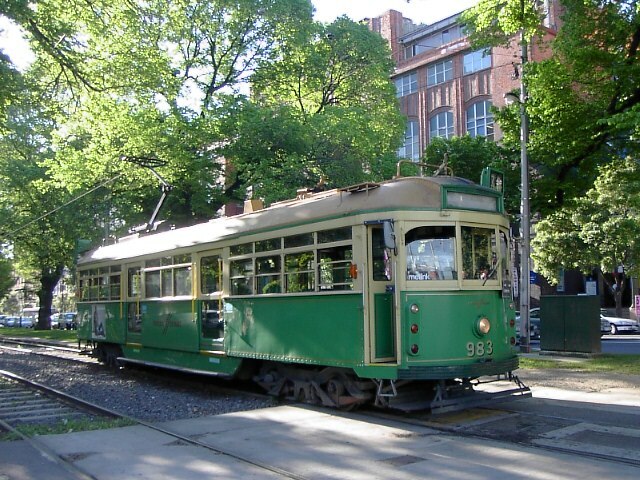 Click here if you are interested in acquiring one of the trams from the Victoria government.